It’s May 2018. You have $20,000 divided in a managed portfolio of mutual funds and a savings account. In June, the economy begins to decline and so does the stock market. Right now, you have no real idea of how the stock market works or even how much of a fee you are paying to the manager of your account. July comes and your portfolio of mutual funds is worth half the amount you invested and you sell your portfolio with a major loss. All you have is the few thousand in your savings account. Plus, that money that was in your mutual fund was for your future home. Is it really worth having someone manage your money then? And what should you invest your money in? Well, for the first question, you should NOT let someone else manage your money! Unless you have millions of dollars and you don’t have time to manage your investments, then hand it over to managers who have yours in mind. For the rest of you who are not in that million dollar club yet, you should actively manage your own finances. By simply educating yourself by reading and doing research, you will know what investment goal you want. If you want long-term dividends, you can find and invest in companies or real estate that will give you dividends or rent income. If you want fast money, you can choose stocks that are popular and ride the wave. At the end of the day, you are in control. You aren’t paying anyone to manage your account. Those businesses and mutual fund managers will drop companies who are not performing well every quarter or companies that other funds are holding. It is a popularity contest where you do not win every time. The fees can turn a potential million dollar portfolio to less than $800,000 after fees. What is the best secure investment in my opinion? 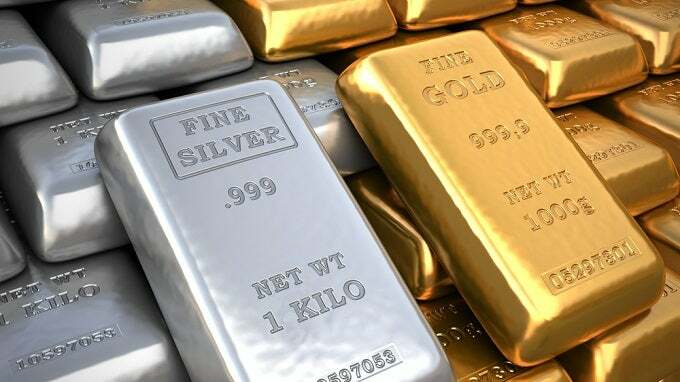 Of course, even gold and silver prices are manipulated, but every currency you know of is manipulated. But what is the means of currency that the WORLD is secretly hoarding? Silver and Gold. No one trusts fiat currency anymore. Everyone trusts real money. When the economy tanks and your dollars aren’t worth much, precious metals surge. If you will hold for centuries or just wait for a surge, save your money and invest in real money. Look into cryptocurrencies. The more I do my research on this and educate myself, the more I know that there will be a rocky but successful future for cryptos. Stack that gold and silver and bitcoin.